"I'm just talking about livin'." 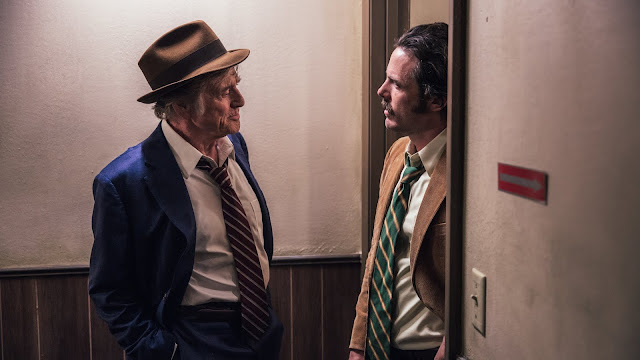 VIFF 2018—Despite its real-life source material, The Old Man & the Gun feels as much a fictionalized retelling of 82-year-old star Robert Redford's own legendary sixty-year career in Hollywood as it is a biographical crime story told by writer/director David Lowery. Redford plays the irresistible criminal Forrest Tucker who politely robbed banks across Texas in the 1980s at an advanced age. Based on David Grann's 2003 New Yorker profile, the loose script skips the conventionally most interesting parts of the decades-spanning story including some of the bigger bank robberies, Tucker's many exhilarating prison escapes, and his offbeat tales. Part romance and part cop and robbers chase movie, Lowery's film is a pleasant mixture of American genre period storytelling. 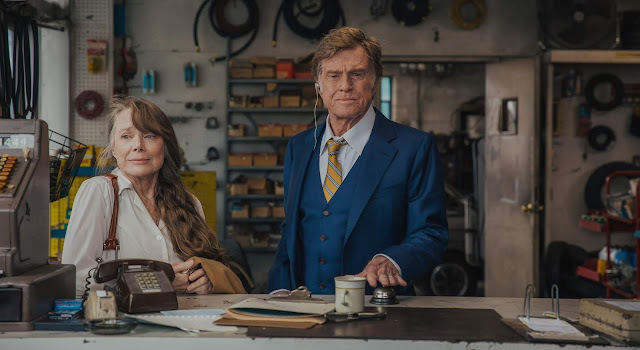 An also spry Sissy Spacek is perfectly cast as Redford's love interest and version of Tucker's third wife who makes for a nice throughline to the culmination of his lifelong career in crime. Their palpable chemistry grounds the somewhat fantastical story and reinterpretation of both Tucker and Redford's life's works. A shaggy-haired Casey Affleck as a fictionalized version of Det. John Hunt chasing Tucker down offers a really moving contrast to the criminal. Scenes of his family home life and his ability to detach himself from his work show opposing sides of masculinity. Shot on Super 16mm film by cinematographer Joe Anderson, the biographical film feels like a series of memories. Everything adds to the charming tale of an equally charming scoundrel who just couldn't quit or resist robbing banks. Redford and Lowery make The Old Man & the Gun such a wistful but endearing crime caper comedy that both meets and sublimates our expectations of who Forrest Tucker the avowed career criminal was. It's a perfectly breezy afternoon watch and fitting bookend to Redford's career whenever it happens to end echoing his star turn as the Sundance Kid. The Old Man & the Gun screens at the 2018 Vancouver International Film Festival as part of the Panorama stream.